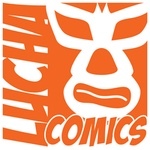 Earlier this year, Lucha Comics established its first international partnership. In collaboration with Bluewolf (a South Korean production house), Lucha is proud to present some true gems of Korea’s comic book industry. I was fortunate to have a large selection of quality content to draw from – but like any startup, I had to choose something to launch with as resources are limited. I decided that Boom! was the best way to introduce some great Korean comics to the rest of the world. So why Boom!? The incredible art and the unique story really won me over. If this gets a great fan reaction, then I definitely want to turn this into an ongoing series, even though it was originally intended as a 1 shot. As a publisher, I doubt that I will ever receive another book quite like this; to create a dual language book that somehow doesn’t detract from the art seems like quite an accomplishment from the Blue Wolf team. This book will always have a special place in my heart. Here is the synopsis: Ugly. Old. Douchebag. One lovesick man is about to go over the edge in an odd story of unrequited love. Jee Chang takes real life and turns the volume up to 10 – a place where some of the best stories live. What really blew me away here was his fantastic artwork. There are individual panels which will likely make their way onto posters (even if it’s only for my office!). 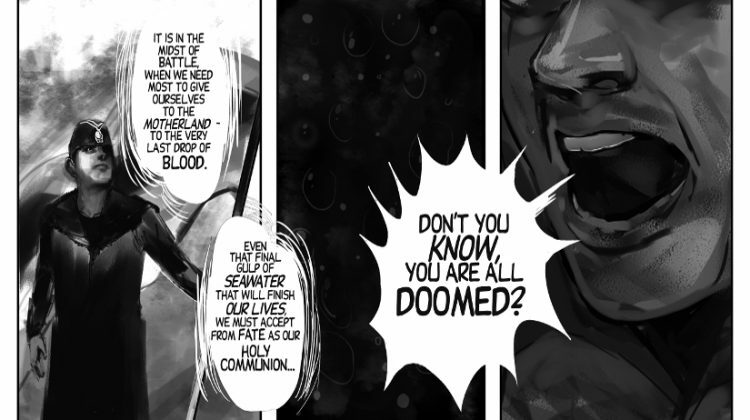 The way that the art is used to transform the story is unbelievable. Even if we never get a follow up to Boom!, I doubt that this is the last that the comic book world will see of Jee Chang. While not your typical comic book fare, I believe that our partnership with Bluewolf will lead to a lot of new fans – and quick. I know that you’ll enjoy this one.